Atlanta, GA: The King Center, Dr. and Mrs. King’s Crypt; Dr. King’s Birth Home; Historical Ebenezer Baptist Church. Jackson, MS; Medgar Evers Home Museum: Secretary for the NAACP, shot to death in the drive-way of his home, June 12, 1963. 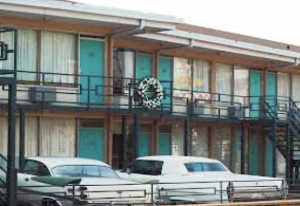 Memphis, TN: National Civil Rights Museum located in the Lorraine Motel where Dr. Martin L, King, Jr. was assassinated. 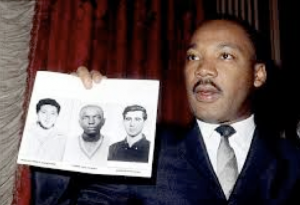 Historian on the bus: Bernard LaFayette, Jr., worked with Dr. Martin L. King, Jr.
$534.00 per person, $134.00 non-refundable deposit due 10/31/17; balance due 12/2/17. Make check or money order payable to DDK Tours, mail to 3996 Brookside Parkway, Decatur, GA 30034. Include your name, address, phone number and email. Transportation from Hartsfield-Jackson International Airport, Atlanta, GA. (Pick up 10:00 a.m.1/4/18 and return 1/7/18, 4:00 p.m.): 3 nights hotel accommodation (double occupancy) and breakfast, tour manual, luxury bus ground transportation (as listed in itinerary), museum fees; speaker honorariums and expert Kingian Nonviolence analysis. For additional information contact Dr. Charles Collyer, (401)-258-9834, Dr. Pamela Zappardino (paxwarthog@aol.com) or Charles Alphin, Sr., (770) 981-8718. See Tour info on the Ira and Mary Zepp Center website.